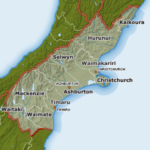 "Healthier Homes Canterbury" initiative has been launched by Environment Canterbury and the Canterbury District Councils (see below) in September 2018 to assist home owners to improve the health of their homes through insulation, heating, and ventilation. Through the Healthier Homes Canterbury scheme, eligible ratepayers can apply for an advance of up to $6000 for heating, insulation, and ventilation improvements and pay it back through their Rates bills over 9 years with interest. More details are found on Environment Canterbury. 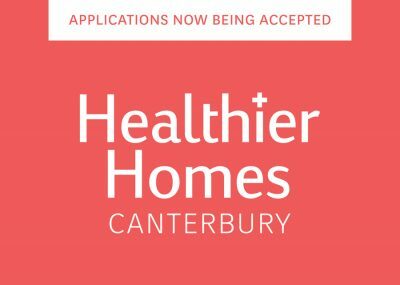 The Canterbury District Councils have begun accepting applications to the Healthier Homes Canterbury scheme. Home Performance Assessment can be undertaken by an approved advisor to recommend the solutions which will provide you and your home the best effect. Improves the health & comfort of your home while paying for the solution. Easy and convenient repayment option via your regular Rates bills. Fill in the booking form below for the Environment Canterbury Healthier Homes Canterbury Programme. And we will be in touch ASAP for the Free Assessment.